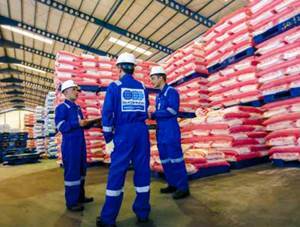 PT Superintending Company of Indonesia (Persero) - PT SUCOFINDO (Persero) or known as "SUCOFINDO" is a reputable and trusted state-owned company in Indonesia, running business in inspection and supervision services. SUCOFINDO engaged in inspection and audit services, testing and analysis services, certification services, training and consultation services. As a state-owned company, SUCOFINDO is majority owned by the Government of Indonesia. As of December 2017, PT Superintending Company of Indonesia (Persero) is 95% owned by the Government of Indonesia and other 5% remaining shares was owned by Societe Generale de Surveillance Holding SA (SGS SA). With services in all parts of Indonesia, SUCOFINDO now has 28 branch offices, 32 service units and 46 laboratories spread in all over Indonesia. SUCOFINDO also supported by 1 SBU Laboratory at Cibitung Bekasi and 1 Laboratory at Surabaya East Java. JobsCDC.com now available on android device. Download now on Google Play here. Please be aware of recruitment fraud. The entire stage of this selection process is free of charge. PT SUCOFINDO (Persero) - Contract Engineer SUCOFINDO April 2019 will never ask for fees or upfront payments for any purposes during the recruitment process such as transportation and accommodation.